That’s how the sign reads down the road on the right, where the gravel ends and the smooth pavement starts. A Florida Department of Transportation worker took this photo in 1950 to show off the department’s newest paving project—a stretch of road from what is now the edge of The Villages east to U.S. 27. 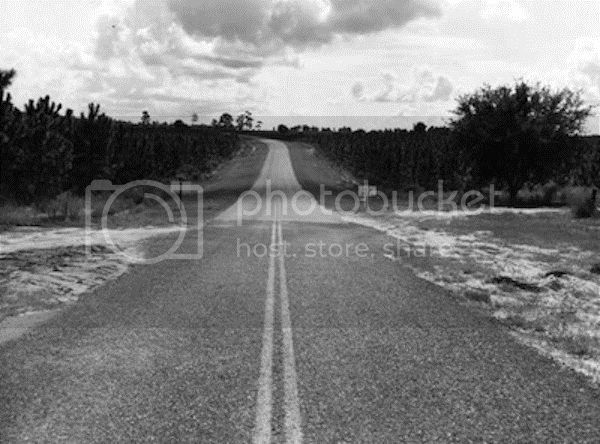 A reporter from the Ocala Star Banner called it “Fruitland Park Road” in a 1960′s article, that’s what the locals (in Wildwood) told her they called it. 466A today, from close to the same perspective. Looks a little different.